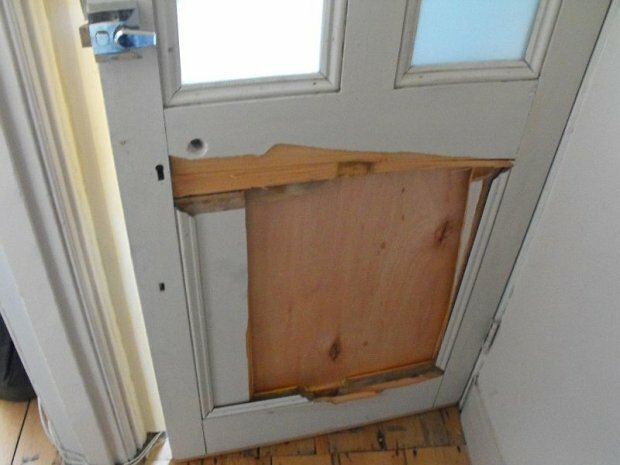 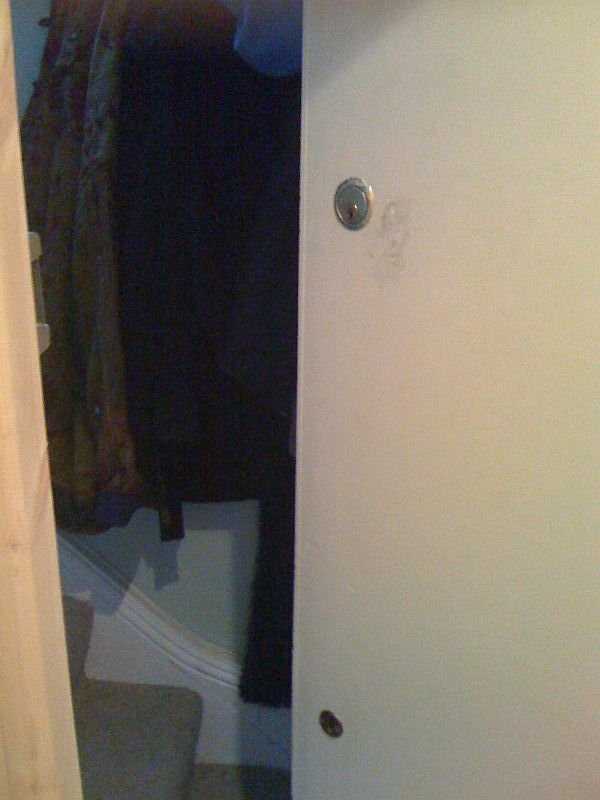 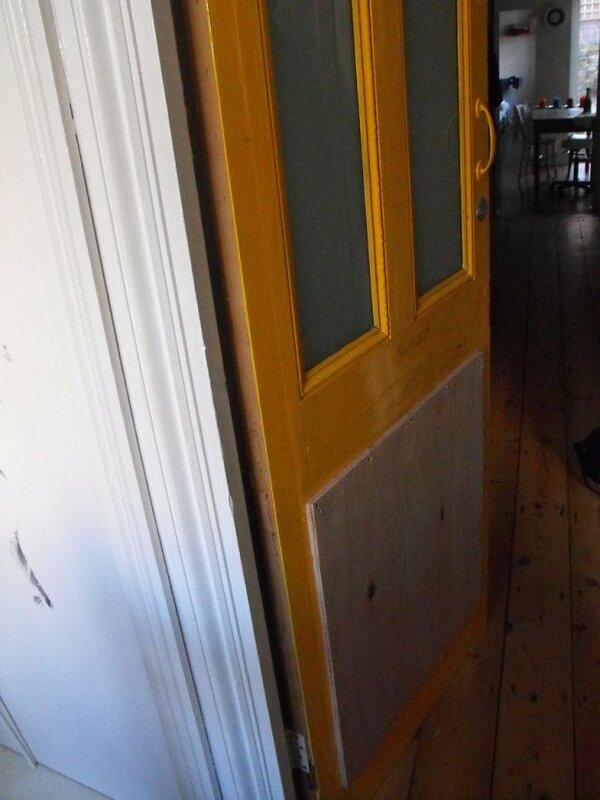 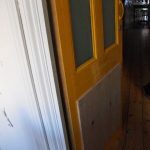 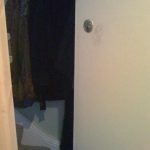 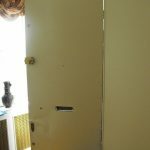 The image shows the original door following a burglary. 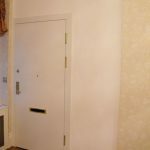 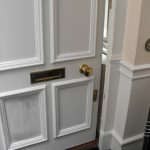 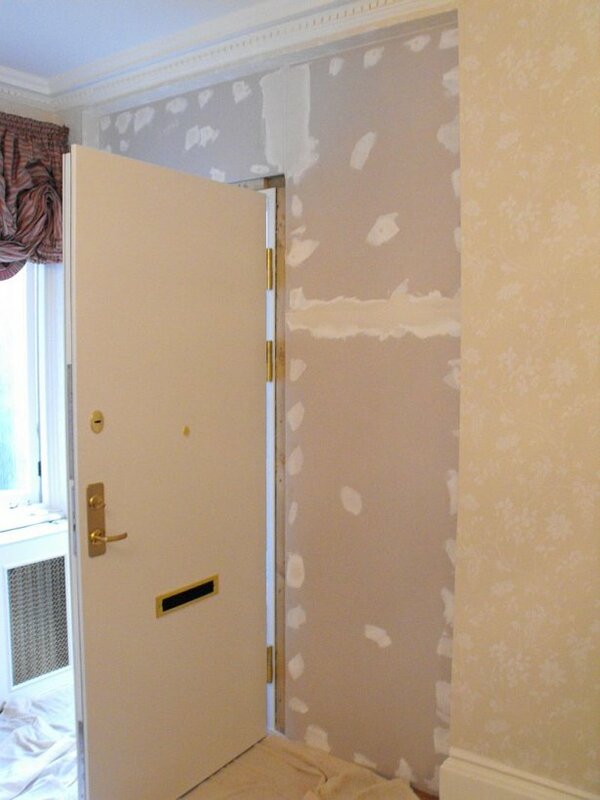 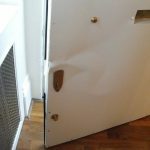 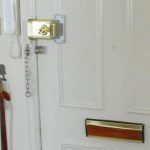 A temporary door was installed by a local locksmith. 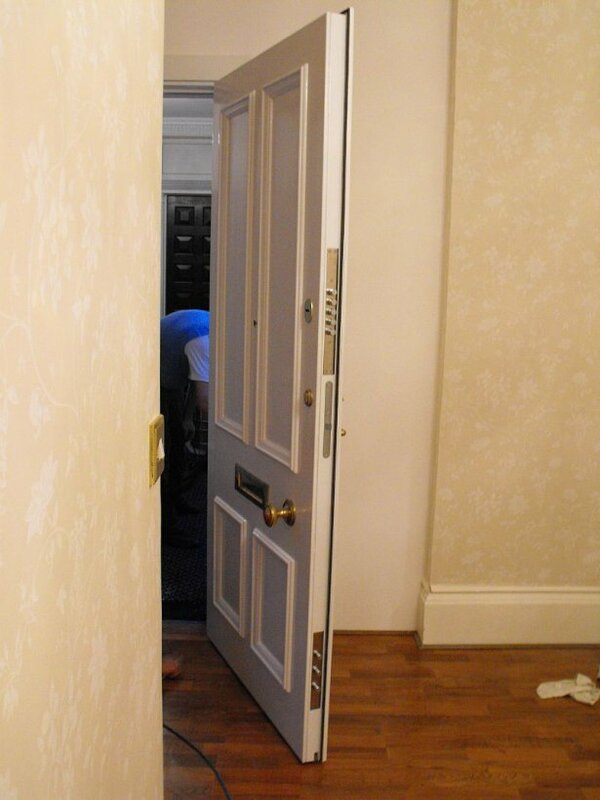 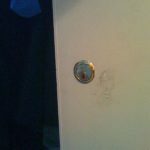 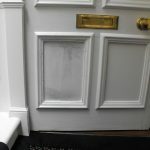 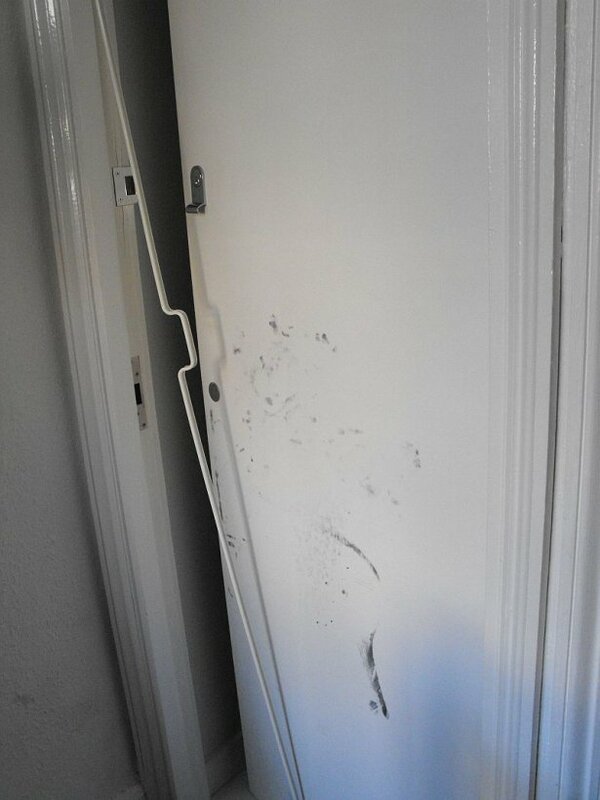 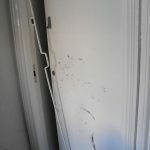 The dark marks were left following forensic examination of the door by the police. 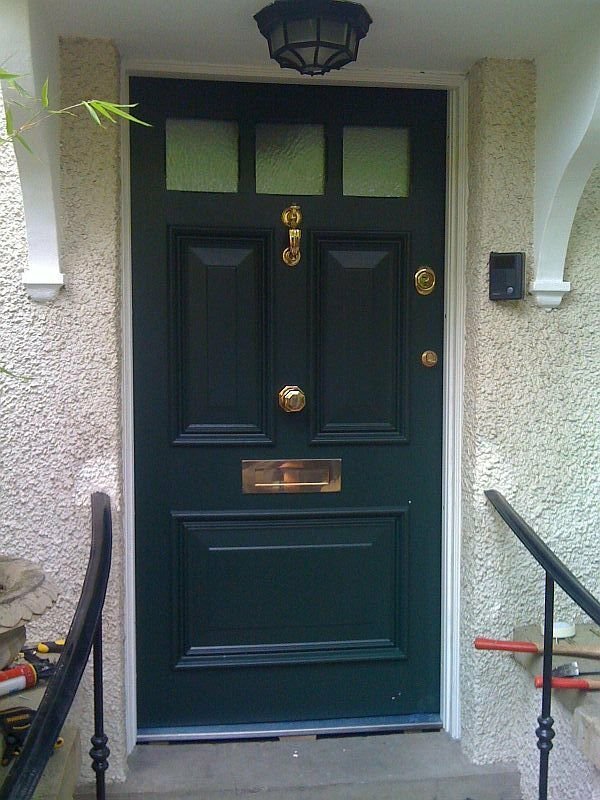 The owner chose the total protection of a Skydas Standard, level 3 security door by Shield Security doors. 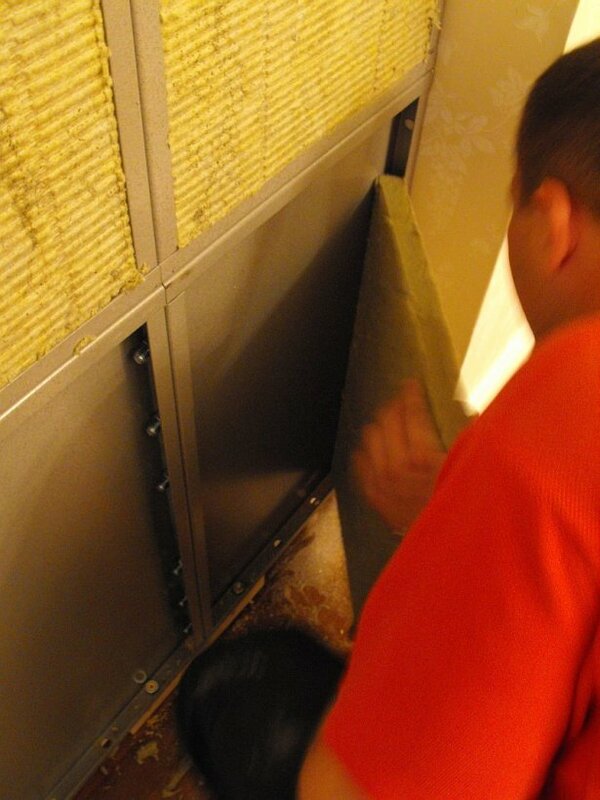 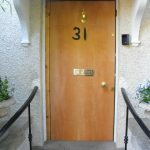 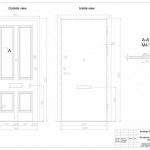 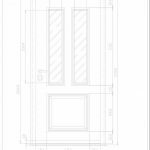 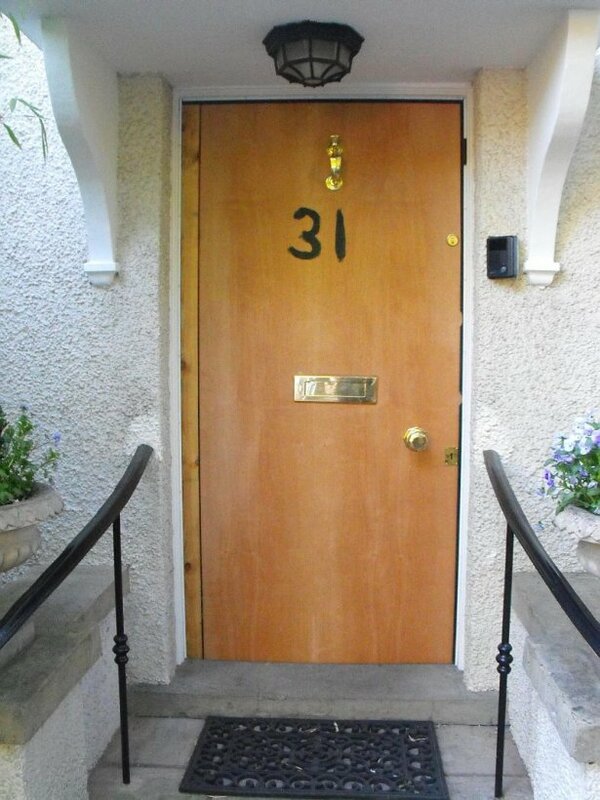 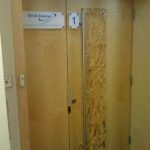 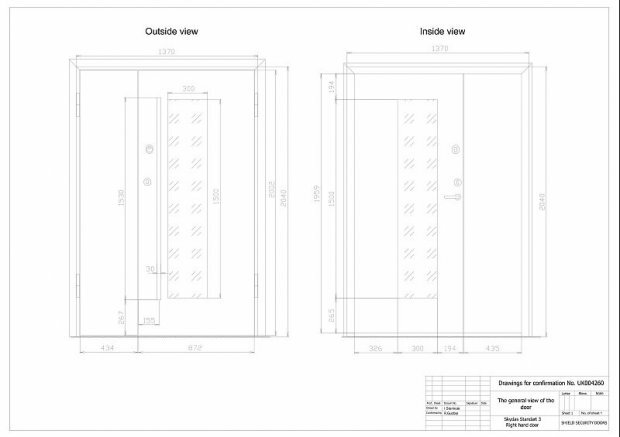 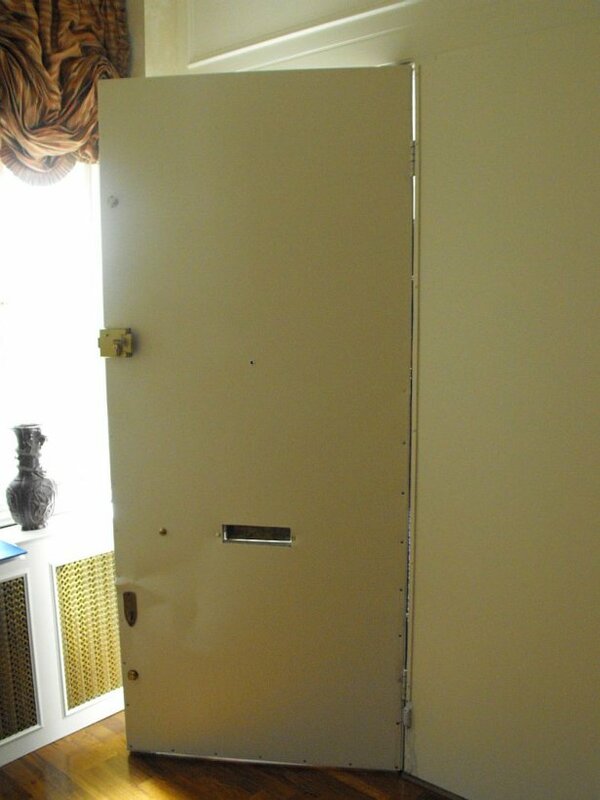 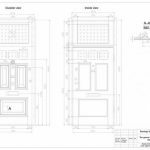 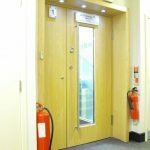 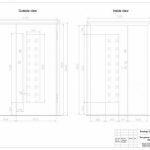 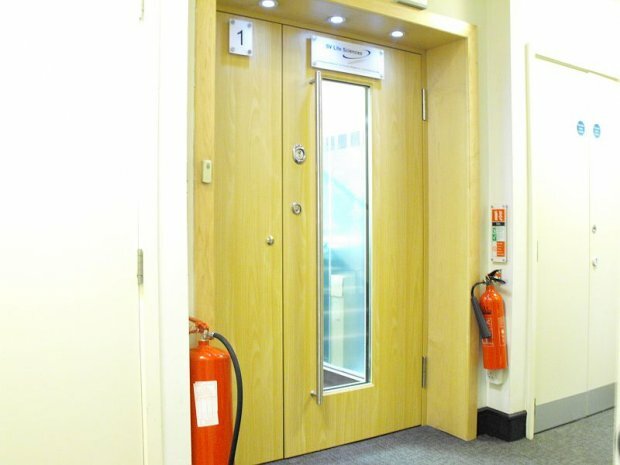 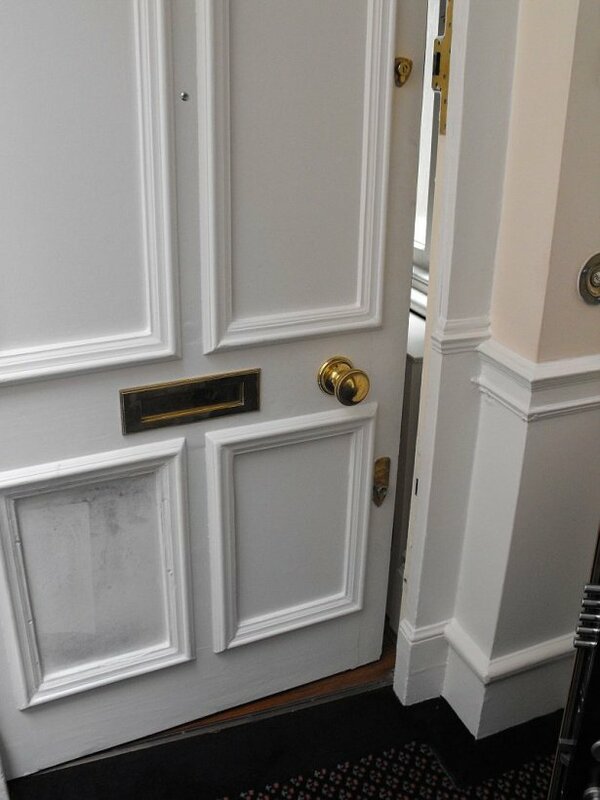 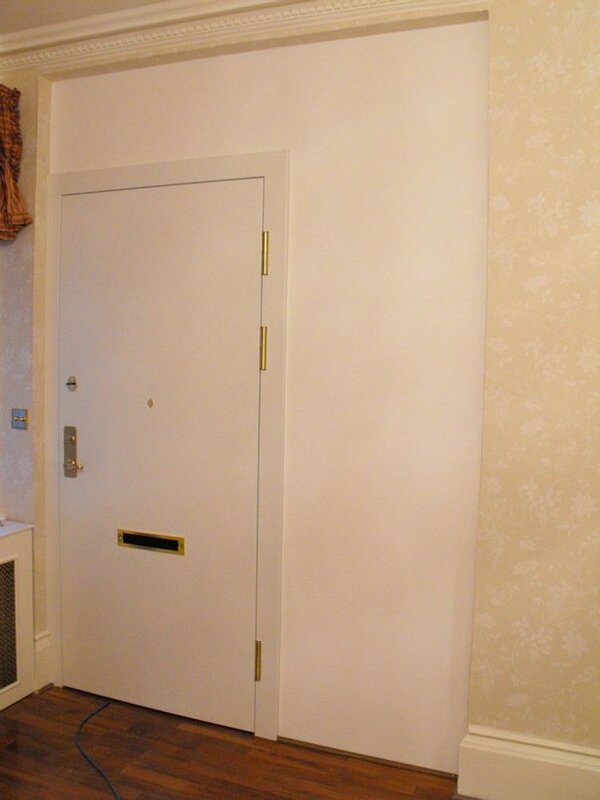 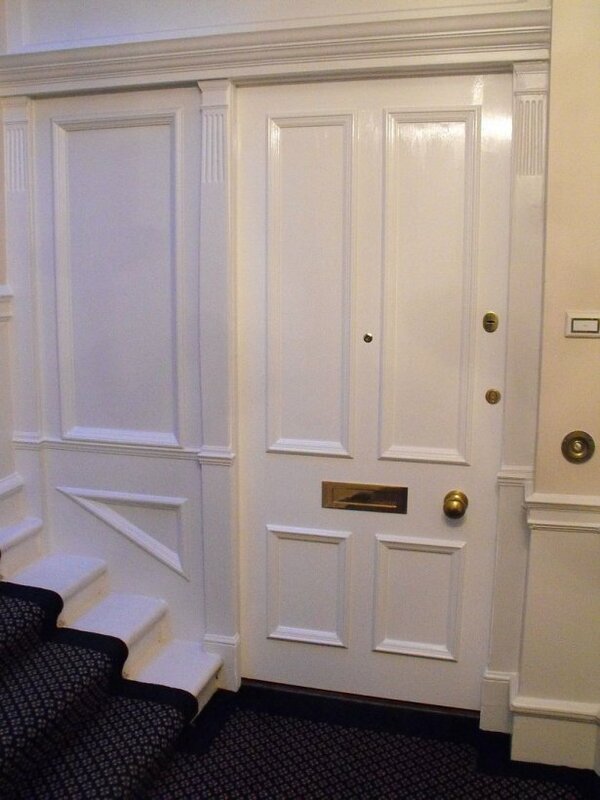 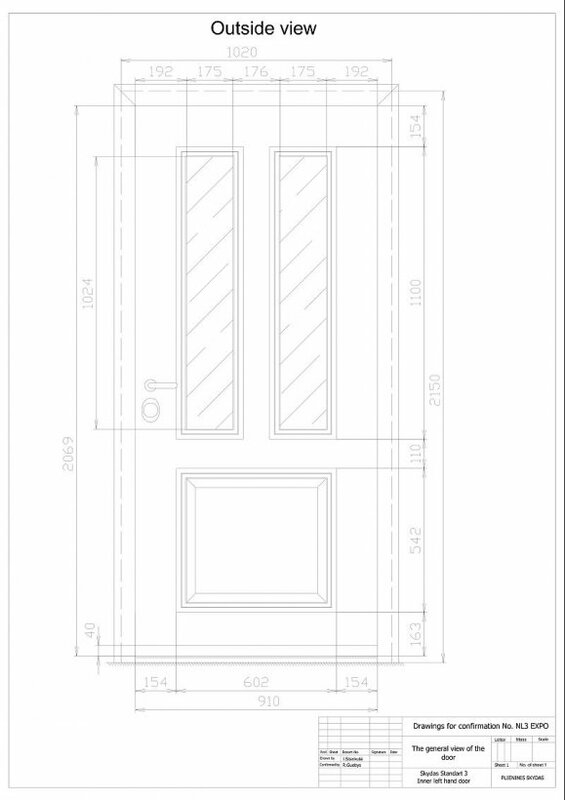 The door was produced as an exact replica of the door it replaced with our ultimate security protection. 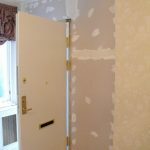 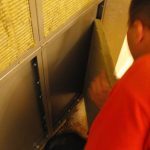 In addition we were able to add steel plating to the surrounding wall for additional security with the benefit of additional thermal, sound and fire insulation. 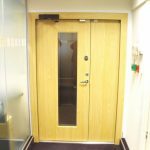 A complete security solution! 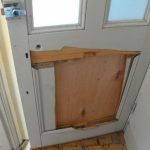 The more determined or professional thief may well use power tools to facilitate a swift and unwelcome entry to your home. 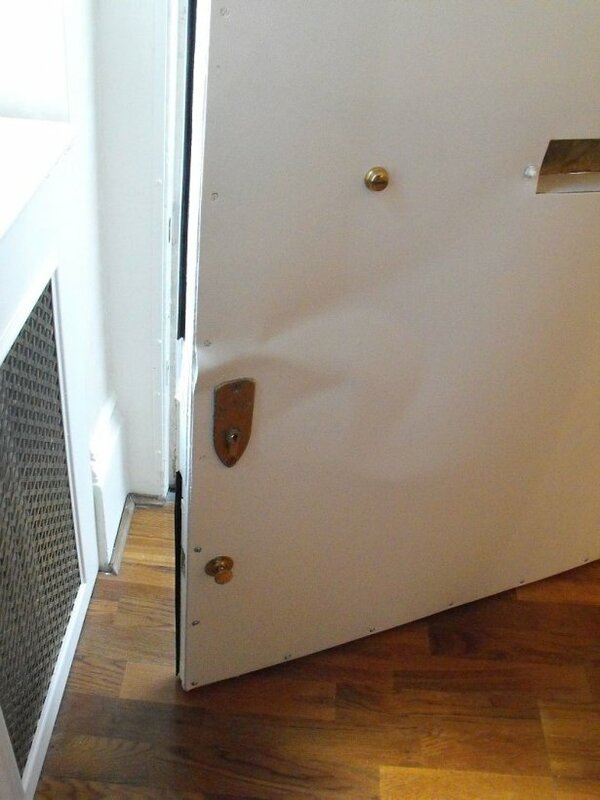 Not with a Shield security door. 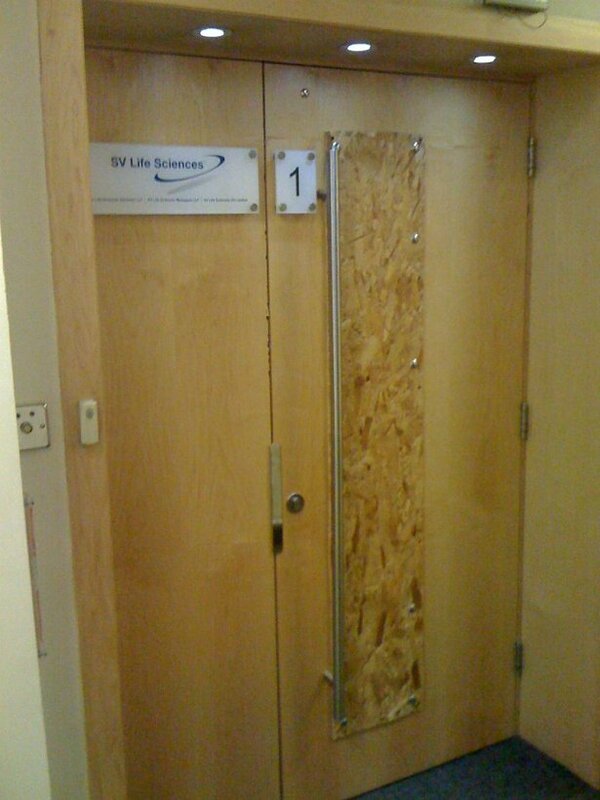 Commercial premises are not exempt from attack. 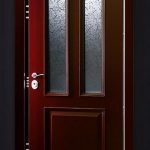 Statistics tell us that once subject of attack you become 4 times more likely to become a repeat victim. 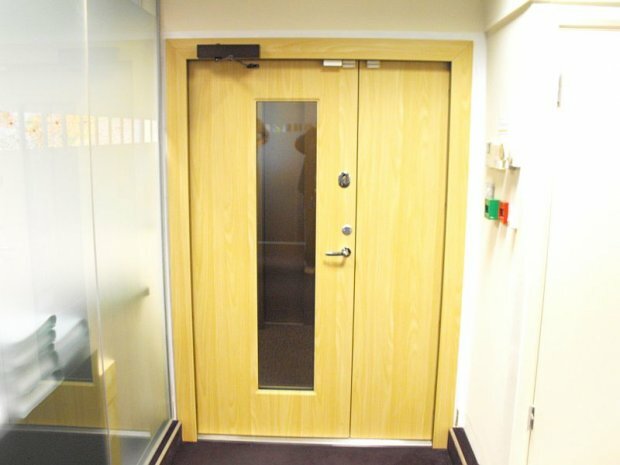 Not with a shield security door, the ultimate security solution. 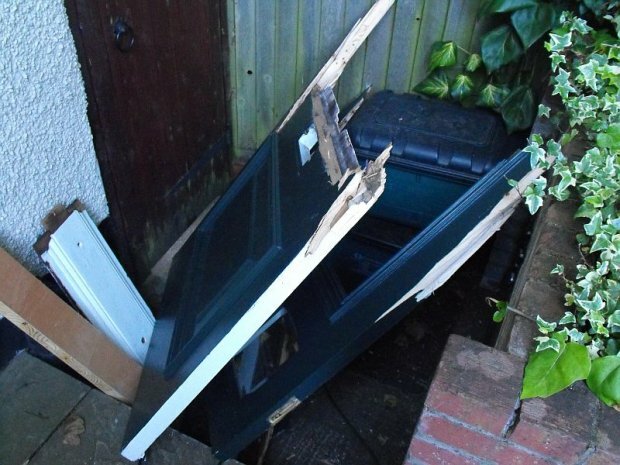 In order to gain entry to this premise offenders used brute force to smash the door into numerous pieces. 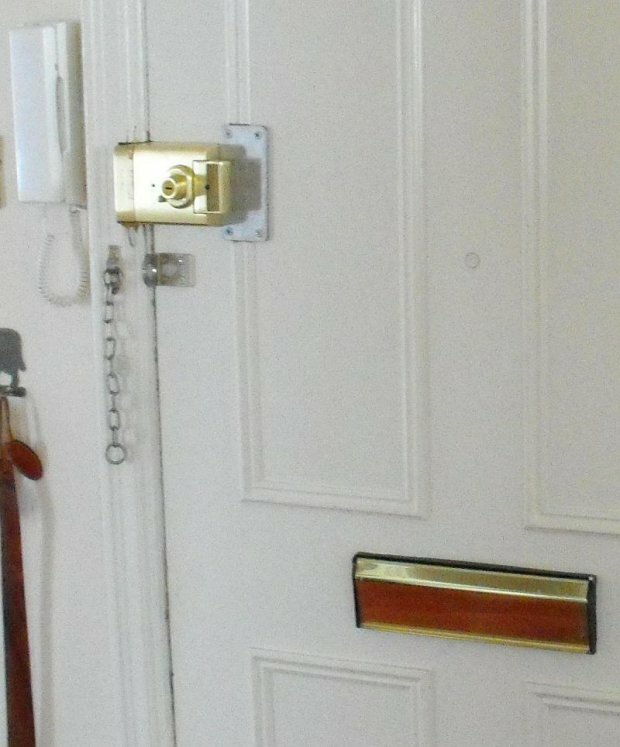 A local locksmith provided a temporary door whilst our technicians set to work to replicate this beautiful door within a conservation area. 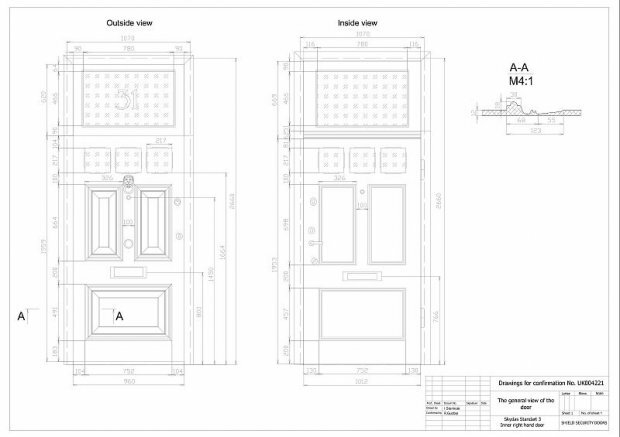 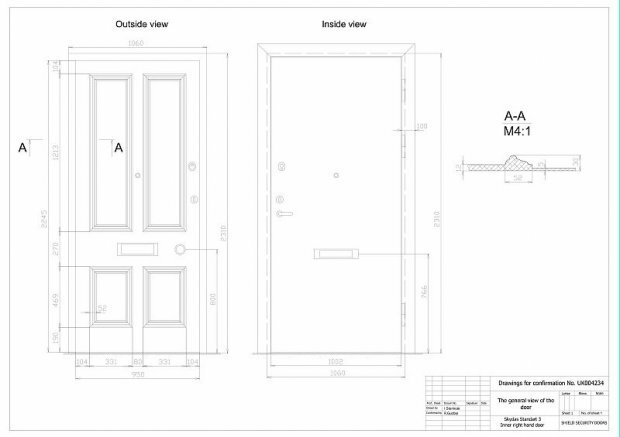 Accurate measurements, photographs of neighbouring premises and physical samples of the old door, were used to engineer an exact replica. 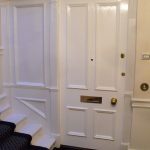 The process was completed utilising Farrow and Ball’s classic colour pallet. 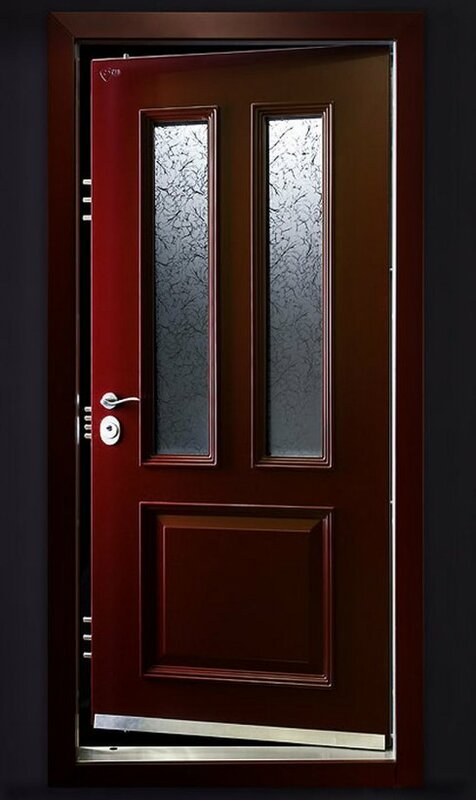 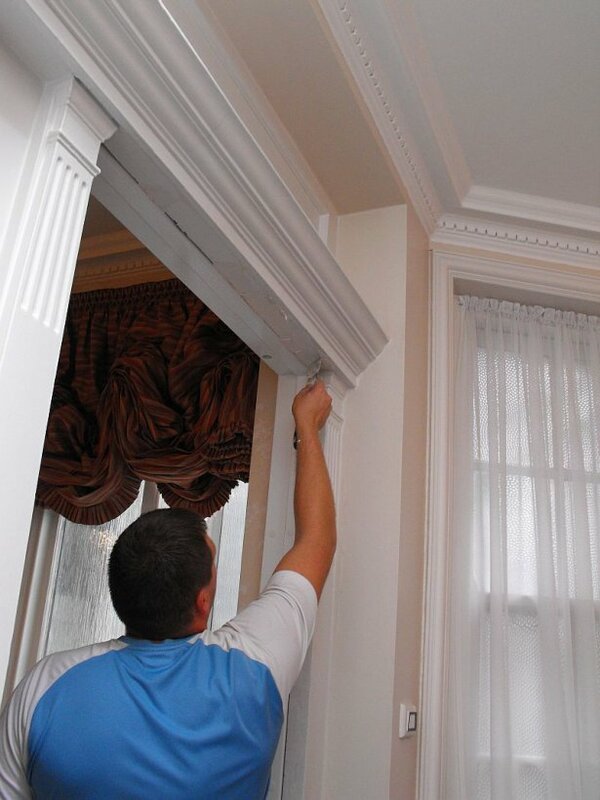 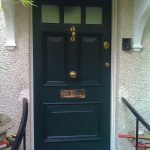 Normal doors in wood, UPVC or composite materials will all fail under violent attack. 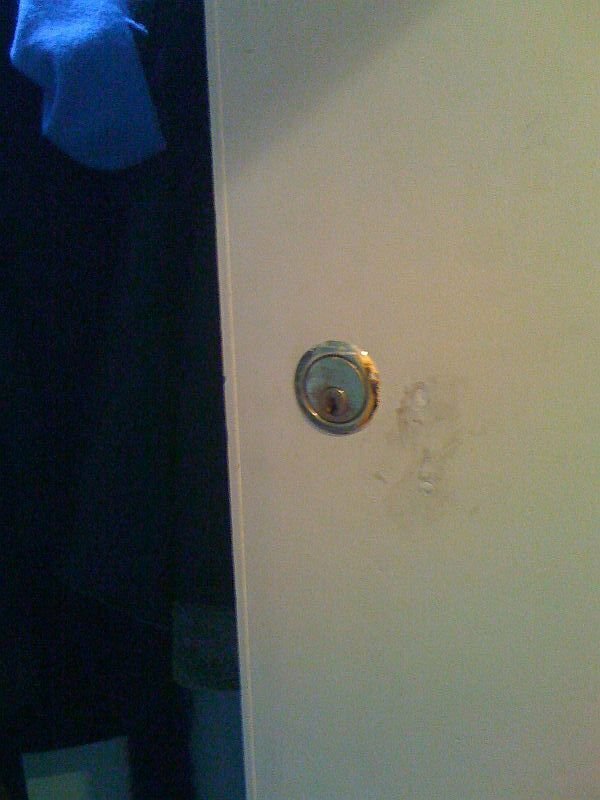 This isn’t just about your choice of door lock.